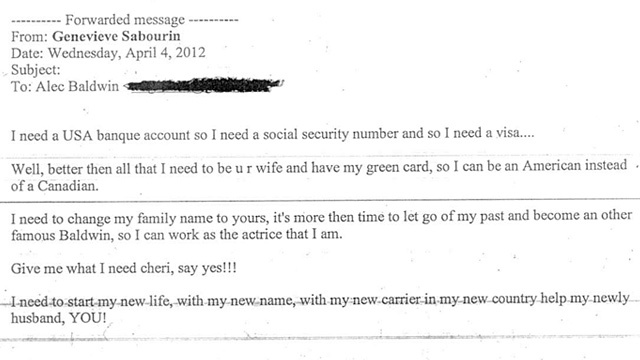 "Why am I forced to plead for something I haven't done. I haven't done anything," Genevieve Sabourin said Tuesday outside the Manhattan courtroom where Alec Baldwin and his wife testified against her with claims of stalking and harassment. 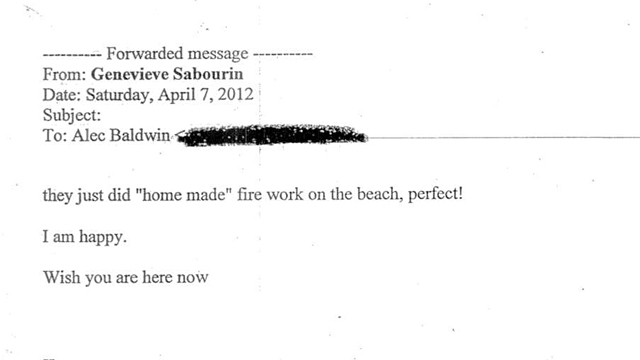 After Baldwin told the court that he never had a romantic relationship with Sabourin, she interrupted him multiple times, yelling "Really?" 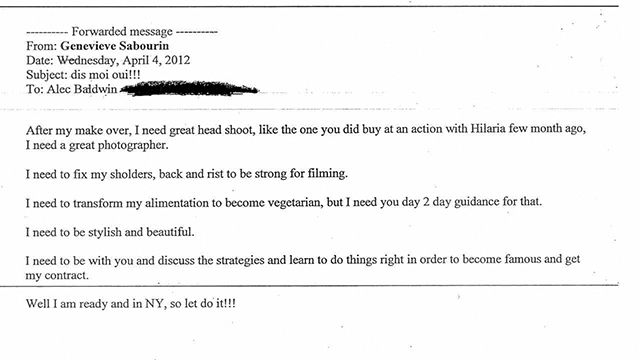 and "He's lying to you." 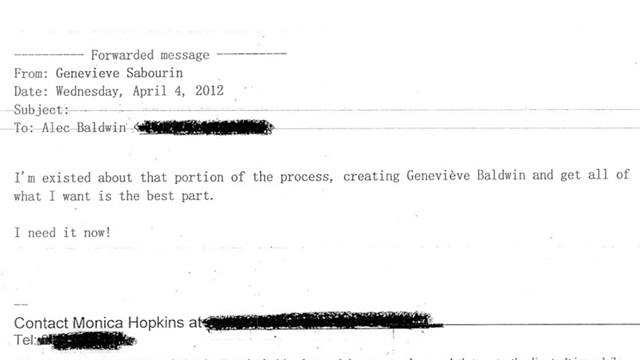 Sabourin is set to take the stand today, according to her attorney. Before she left court on Tuesday, she exclaimed, "He has a scar," and pointed to her hip, in an attempt to further her own claim that the couple had an affair. 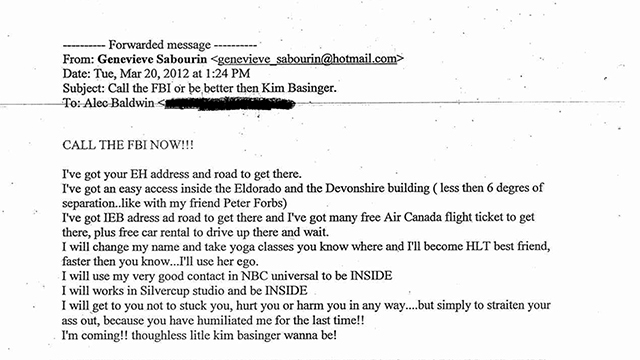 The testimony of Sabourin, if her outbursts are any indication, could be volatile. 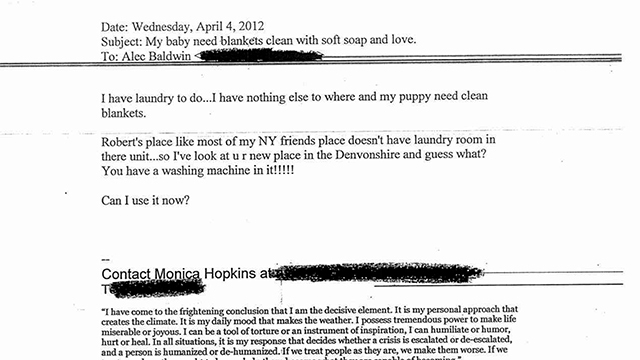 Here are some of the emails that were submitted as evidence by Baldwin. 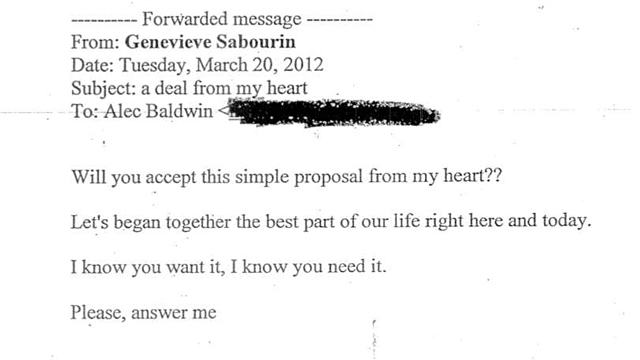 In them, she asks the "30 Rock" star to accept "this simple proposal from my heart," make her "Genevieve Baldwin." 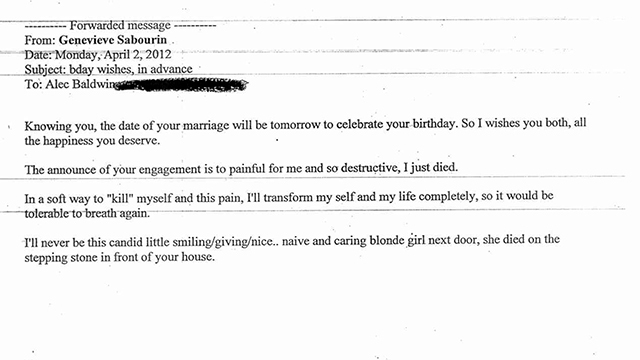 She also wrote that when Baldwin got engaged last year, it was "painful for me … I just died."